For many professional woodworkers, their table saws form the cornerstones of their woodworking operations. For hobbyists, the situation is very much the same with the only real difference being that as hobbyists, we try and scale down a bit from the large, high powered cabinet saws often used by professionals. 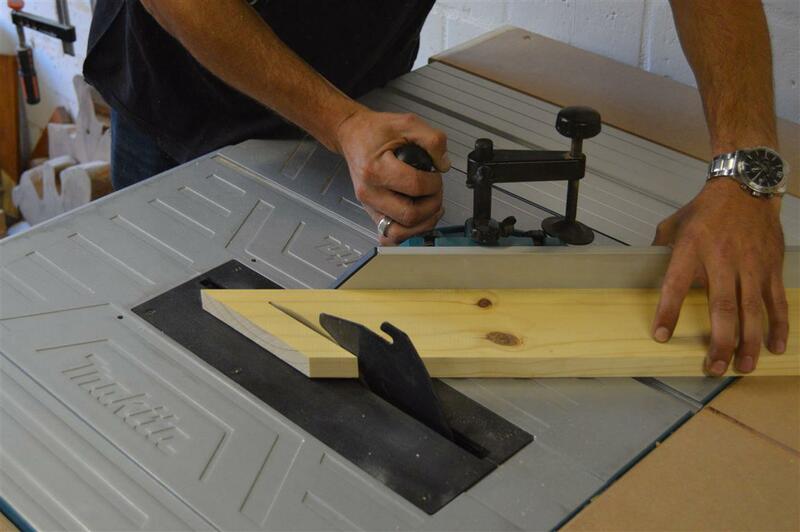 For woodworking hobbyist and DIY junkies, benchtop table saws are often the most logical option for their affordability and space-saving qualities. One such saw is the Makita MLT 100. A saw that I have been using for over a year now and today I will write my detailed and honest review of this Makita product. Walking into a store the MLT 100 will definitely draw your attention. Largely covered in the brands signature blue, you don’t need to be a power tool connoisseur to be able to identify this saw from across a room as a Makita. 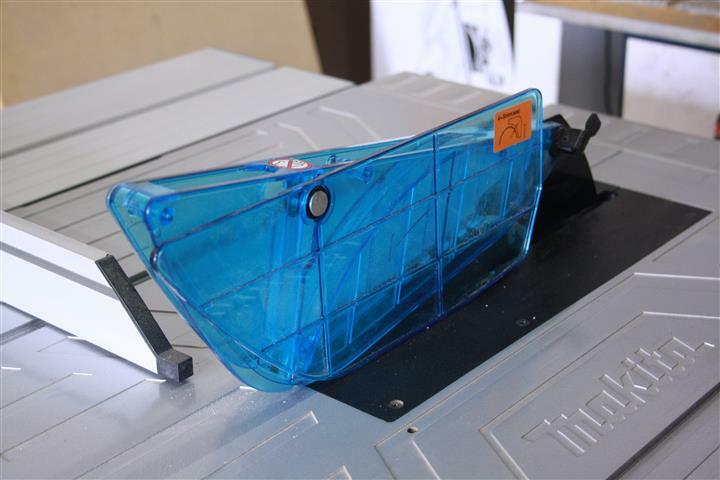 Beyond the Makita decals, you will also notice the type of well-built machine that consumers have come to expect from the brand despite the fact that the saw was developed as a cost-effective alternative to the Makita 2704. The saw has a 960x690mm bed, about 10% larger than its the closest competitor, that consists of a 610x620mm cast aluminum main bed, two extendable beds, and a 200x620mm profiled aluminum slide bed. 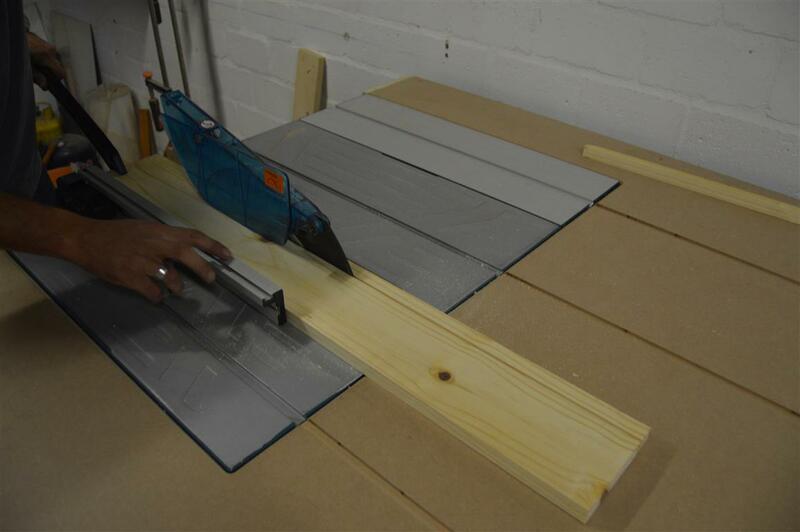 The bed extensions can increase the width of the saw bed to 1310mm and the length to 840mm respectively by simply loosening the 4 lock-knobs (2 per bed), pulling them out by hand, and locking the beds in their extended positions. All of this comes together atop a hard plastic shell, encasing the motor, and forming the saws 640×550 footprint. The saw also offers convenient on tool storage for accessories such as its fence, miter gauge, push stick and even spare blades. Check out pricing on Amazon. The Makita MLT 100 gets supplied already assembled with a 255mm Makita brand TCT blade and includes a rip fence, miter gauge, two wrenches for changing the blade, a push stick, a removable blade guard, and a removable riving knife. Taking the saw out of its box, with the exception of some fine-tuning to the blades set point, the only assembly required before the saw can be used is fitting the riving knife and clipping the blade guard into place. 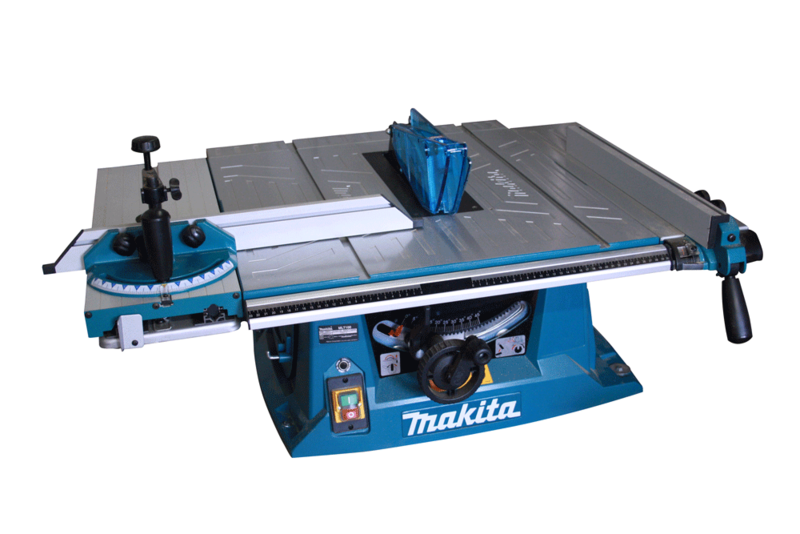 The saw does however not come supplied with a stand and if you are not planning on building your own the option is available to purchase the Makita JM27000300 that was designed to accommodate the MLT 100 saw. Of all the saw’s features, it was the blade adjustment mechanisms that impressed me the most. The height adjustment action is of the smoothest and most effortless that I’ve experienced on a saw in the MLT 100‘s price range. The angle is adjusted by disengaging the lock lever and turning the angle adjustment knob. A refreshing change from the disengage lock and adjust-by-hand mechanism found on most of the MLT 100‘s competitors. The angle adjustment knob allows for adjustments to the blade angle in smaller increments making fine, accurate adjustments a simpler task. Considering the cost-effective component of this saw’s development it’s no surprise that it is not without its flaws and while cutting is when you will notice most of them. For myself, the biggest flaw in the MLT 100‘s design is the manufacturer’s decision to build this machine with a plastic blade insert which will prove to be especially annoying due to deflection when attempting to make rip cuts in narrow stock. The fence also leaves much to be desired as it only attaches to the saw base on one end. I’m assuming the idea of such a fence is to decrease the possibility of kickback as it almost eliminates the possibility of attaching the fence in a way that leans inward toward the blade. In addition to this, it also places less inward pressure on the stock at the back of the blade. The idea may have been a noble one but at that cost of accuracy. Despite the saws obvious flaws I find it to still produce repeatable, quality cuts. There is almost no vibration on the blade and the measurements printed on the saw are close to spot on. The miter gauge is also quite nifty. It incorporates a wider fence, a clamp to hold down stock, and useful angle measurements (60° in both directions) printed on its base. The clamp on the gauge seems to be intended for use with the sliding bed only where you would align the stock against the miter gauge fence, clamp it down, and then use the sliding bed to push the stock through the blade. In the case where it is required to push the stock through the blade with the gauge itself, the clamp can’t be used. Unfortunately, the miter gauge does not fit snugly in the slots on the saw bed as the slots are slightly wider than the gauge rail. This won’t hinder quick cuts where deadly precision is not the main concern. In cases where it is, however, you’ll be better off using a tool designed for making accurate miter cuts like the Metabo KGS 254 M.
Who was this saw made for? Makita is known for making quality, professional grade, power tools but unfortunately for the likes of hobbyists, these come with a professional grade price tag. A price tag that is often not justifiable for the type of person that’s in the woodworking game for the love of it. Maby that’s why Makita decided to throw guys like us a bone by scaling down their design and building a saw that falls in our price range. If the food on your plate and the clothes on your back depend on your table saw then this saw is not for you. This saw was made for people who enjoy making dust in their small home woodshops over weekends. With the MLT 100, Makita has given the little guy a more achievable way of owning one of the big hitter brands when it comes to table saws. For its price, you are unlikely to find anything better but unfortunately, you get what you pay for. Cheaper saws aren’t without their flaws and if deadly precision is what you desire you are better off digging deeper into your pocket and looking at the Makita 2704 or the Bosch GTS 10 XC. Where the MLT 100 falls short, these saws pic up the slack. 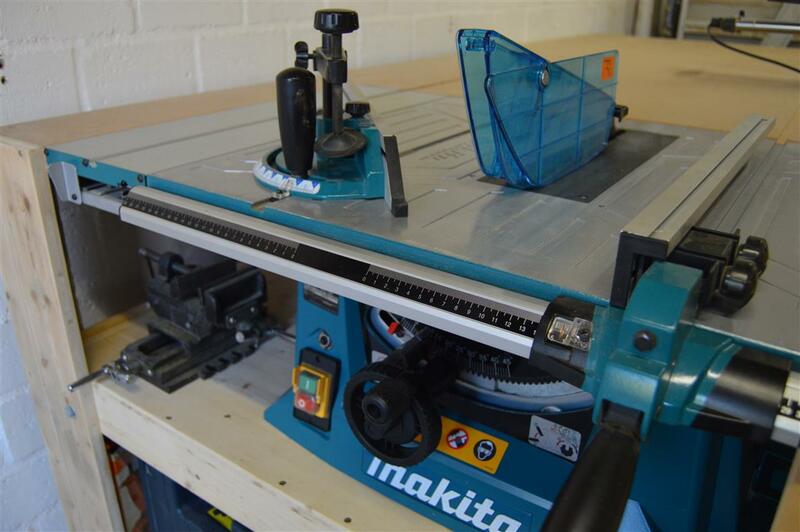 To see the Makita MLT 100 in action check out some of our builds on our Youtube channel, Woodshop Junkies. I have the same saw its a good all rounder type saw. my only real issues are that the sliding mitre has a lot of play. The fence needs constant attention. And god only knows why makita stamped its brand name and a stupid design onto the surface rather that make it smooth. Personally, I’m looking at making some modifications to mine to combat some of its flaws. I’m currently busy modifying the fence and replacing the throat plate. It is sad to see that in the poor country (Paraguay) that I live in electric tools like these cost an arm and a leg in comparison to income and other countries. Locally differences can be significant as well due to lack of much competition and probably (price aware) customers. Therefore the range of choices is limited. As you guys didn’t say too many bad things about it I will buy this Makita which will join the other Makitas that I already own. Good to see you made it around here. I feel your pain about the price of power tools. I’m from South Africa and unlike some first world countries, we need to couch up a pretty penny for quality power tools. As for the Makita MLT 100, like I said, its a nice saw for the price but don’t expect miracles. It will never measure up to some of the more expensive saws. I love your solution it is really excellent!! Ek sou graag die werkbank in lewende lywe wou sien. Enige kans dat ons dit kan doen? Many people asked for more detailed plans then the ones that are available on the site so I paid someone to draw up very detailed plans. I simply didn’t have the time to do it myself. The plan will be available for purchase at a reasonable price very soon. I will announce on my channel when I put them up. At the moment all that is left is to add the imperial units to the plan. Hola Nesecito un código de la piesa que ayuda a deslizar piezas de corte la que está al costado izquierdo de la máquina, nesecito comprar sólo eso , gracias.